Birds are like little angels, bringing sweet songs and divine guidance to us. Our tiny feathered friends can be brightly colored, like the bluebirds, cardinals, and finches in my Mother’s backyard in Western New York, or, like out here in the high desert of Southern California, black, brown, and grey. 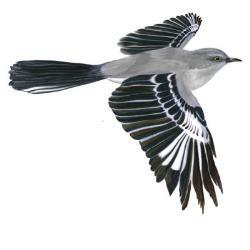 Nonetheless, the grey and white Mockingbird’s nightly concerts have brought me endless hours of joy. And I do mean endless hours. They sing all night long, taking the mandatory five minute break each hour. They also sing during the day. This is especially true of the bachelor who is trying to attract a female. According to author, Andrea Wansbury, the message of the Mockingbird is Respect….as in R-E-S-P-E-C-T, and they certainly could rival Aretha Franklin in the way they belt out a song. They are happy to perch on wires or in trees, and usually stay within a certain territory. At least this has been my experience with the Mockingbird. I had one that came back every year for about 8 years. I knew it was the same bird because I knew his songs. One time, I was playing some Polish Krakowiak music on my CD player, and he picked up 3 different tunes from those songs ! It was amazing ! Those snippets stayed with him in his repertoire, year after year. Then one year, sadly, he did not return. I tried to play Krakowiaks for other Mockingbirds who came to visit, but only succeeded in driving them away, so I have given up my search for Polish Mockingbirds. But, I still enjoy the songs of these delightful creatures. 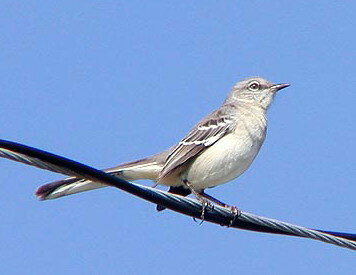 In fact, the Northern Mockingbird, which inhabits most of the U.S., is so popular, that it is the state bird of Florida, Texas, Mississippi, and Arkansas. There have even been a few popular songs about the Mockingbird, including one written in 1855. You may remember the tune from the Three Stooges’ earliest shows. Then there was the song from 1963, and which covered by many groups. Meanwhile, in the Phobjikha Valley in Wangdue Phodrang, Bhutan, there are no wires for birds to sit on. 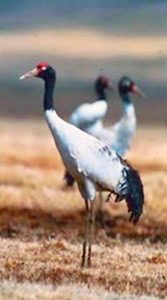 The people who live in that valley have lived without electricity (except for that provided by solar power), in order to protect the rare and endangered Black-necked Cranes that migrate there in the winter from Tibet and Siberia. The Crane is believed to be a supernatural spirit, and a symbol of good luck and happiness. 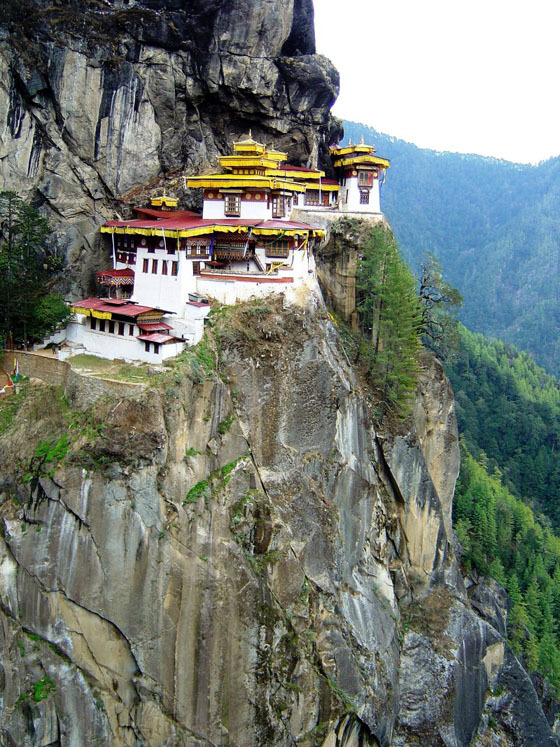 Bhutan is a small country in the Himalayas where there is virtually no crime, and no poverty… at least as they see it, for the country bases it’s worth on Gross National Happiness ! But, sadly, that may be changing since the internet and TV came on the scene ten years ago. And by 2011 the 800 households in the Phobjikha Valley will be electrified; though mainly with eco friendly underground cables. Will it affect the Black- necked Crane, which the Mahayana Buddhists consider to be a heavenly bird? That remains to be seen. Gallery | This entry was posted in Polish Music, Travel and tagged Andrea Wansbury, angels, Aretha Franklin, Arkansas, Bhutan, Black-neck Crane, Charlie & Inez Foxx, divine guidance, divine messengers, Douglas Malloch, Florida, Harper Lee, heavenly, Krakowiak, Mississippi, Mockingbird, Phobjikha Valley, Polish Music, Respect, state bird, Texas, Three Stooges, Wangdue Pho Drang. Bookmark the permalink. I enjoy your blog so much. I never know what I’ll find. I’ve become a fan of Dr. Who because of you. I love birds too. In the canyon I watch the predators, hawks, circling their next victim. Sometimes he gets away. Every so often I see a large flock of parrots. Who knows where they came from, but they are quite amazing. Hope you are well. We should plan a lunch date for when you come down below. I know KC and Penny are up for it. Back when I was in my late teens and first got my ham radio license there was this elderly lady ham radio operator in Queens NY — Marie — can’t remember her call letters — who would tell the story of the day she had her receiver on and heard this station with a chirpy sounding signal calling a CQ. Thats kind of like saying — anyone out there please answer me. So she responded only to hear the week signal still calling a CQ. So she tried responding again and again and again. Same result each time. She finally gave up, turned off the receiver and was about to walk away from her radio desk when she heard the call again, but this time it was without static. With the radio off she realized that the call was coming not from the loud speaker but rather from a nearby tree where sat a Mockingbird. True? Who knows. That was way back in 1960 or so. mocking birds show up. They do love to sing at night, we have never minded them, always look forward to their song. What a way to drift off to sleep. is so good. Thanks again. Sorry I didn’t get arond to read this until this morning! Loved it though! You’re offering a lot of interesting entertainment and education here! Thank you, it is a joy to read your blogs! 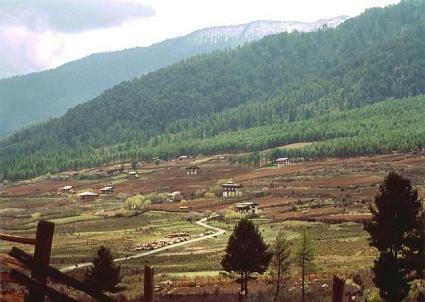 If you are interested in visiting Bhutan, check out my friend, Dorji’s travel agency. Your blog is nice and creative.